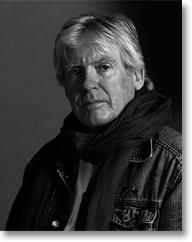 David Harsent was born in 1942 in Devonshire. He has published nine collections of poetry, including A Bird's Idea of Flight (1998), and Marriage (2002), both shortlisted for the Forward Poetry Prize (Best Poetry Collection of the Year) and the T. S. Eliot Prize. Legion (2005), won the 2005 Forward Poetry Prize (Best Poetry Collection of the Year) and was shortlisted for the 2005 T. S. Eliot Prize and the 2005 Whitbread Poetry Award. His poetry includes versions of the work of Bosnian poet Goran Simic, notably Sprinting from the Graveyard (1997), poems written during the siege of Sarajevo. He was co-editor, with Mario Susko, of Savremena Britanska Poezija (1988). His work in music theatre has involved collaborations with a number of composers, but most often with Harrison Birtwistle, and has been performed at the Royal Opera House, Carnegie Hall, the South Bank Centre, the Proms, the Megaron (Athens), and on BBC2 and Channel 4 TV. His libretti include Serenade the Sikie for the Prussia Cove Festival in 1994 and When She Died for Tiger Aspect and Channel 4 television in 2002. His collaborations with Harrison Birtwistle are Gawain (1991), The Woman and the Hare, The Ring Dance of the Nazarene, and, currently in preparation, The Minotaur. He has published a novel, From An Inland Sea (1985), and has another, The Wormhole, in preparation. He writes crime fiction under a pseudonym and has written a number of screenplays and television dramas. David Harsent was appointed Distinguished Writing Fellow at Sheffield Hallam University in 2005, and is a Fellow of the Royal Society of Literature. His Selected Poems, 1969-2005, was published in 2007. In 2008, he received a Cholmondeley Award.